Defence Turkey: First off, thank you very much for your time. Could you please tell us about the structure of BNA, the work shares of Nurol and BAE Systems as well as the history? I would like to thank you for this opportunity. BNA is an aviation and technology company that has emerged from the joint venture of two giant companies. BNA is a synthesis of experiences gained so far by Nurol Holding and BAE Systems. BNA targets the niche areas not yet occupied by Turkish companies, in order to provide these products and services to domestic and international markets. BNA intends to capitalize on the strengths of both shareholders, utilizing Nurol Holding’s established local position and infrastructure alongside BAE Systems’ experience and technology. Our vision is to become a tier 1 supplier of products and services developed in Turkey and to achieve this goal through the establishment of local R&D program; delivering design and built work packages and building local capabilities complementing existing industry strengths. BNA’s business strategy has been developed mainly around the aviation sector. The safety critical and complex nature of air vehicle systems and of the required infrastructure will also allow exploiting this capability for a competitive advantage in adjacent sectors. Although our company was established only recently, we have successfully carried out our short-term Business Strategy and developed our infrastructure, drew up our corporate processes and our code of governance, received our ISO 9001 and AS 9100 quality certifications, established our engineering laboratories and launched our critical investments. With a rapid yet controlled growth, we have had a successful period in which we increased the number of engineers in our staff to 30 and the total number of staff in our company to 39. Throughout this process, we moved from ODTÜ Teknokent – where we started our operations – to a larger facility at Bilkent Cyberpark, in order to keep up with our growth. With the running projects, we are aiming to increase our number of employees to 60 by the end of this year. Defence Turkey: It appears that BNA focuses on flight control, engine control, fuel and environmental control systems technologies. What are the BNA’s core capabilities, technologies and products? Our main business areas are developed around Integrated Flight / Vehicle Systems, Integrated Mission Systems, Electronic Systems, and Training and Simulation. As you mentioned, our core area of interest is control systems and our primary focus is the aviation industry. Flight systems or vehicle management systems, engines and mission systems all contain a control function, as well as an electronic unit that enables this function. We will procure the components preferably from local sources and provide an integrated system around the control unit to be developed by BNA. That’s how we will be providing ready-to-use subsystems to platform manufacturers. That is exactly what the term “tier-1 system provider” – which is mostly used in civil aviation – refers to. To give you another example with fuel systems; world-renowned aircraft manufacturers are not directly in contact with the companies that produce the subcomponents of this kind of system. They only know the company from which they purchase the fuel system. In this way, aircraft manufacturers no longer have to bother with managing numerous suppliers and developing subsystems. We think that in our country there is a gap between platform owners and equipment level manufacturers. We can very well assume a role in helping the component providers – and especially the local companies – take part in the industry more actively. We can do this by collaborating with them. On the technical side, most members of our team are already experienced in the industry, which makes a big difference. For many years, we have already been carrying out our activities with a good understanding of the need for technical, certification and qualification standards. We speak the same language with platform manufacturers who act as prime contractors. In this regard, we’re closely keeping track of the developments in Turkey’s capabilities. In parallel with the technical aspects, tier-1 providers need to be as resilient against economic fluctuations as the prime contractors. BNA’s partners, namely Nurol Holding and BAE Systems, inspire great confidence in this regard. Defence Turkey: Could you please inform us about on-going programs in Turkey? Do you have any plans to be involved in the T129 “Atak”, Hürkus-C and T625 Multi-Role Helicopter programs? BNA has set off with its entirely indigenous and qualified engineering workforce to undertake aircraft system design and manufacturing activities. Turkish helicopter projects, such as the T129, T625 and the New Atak as well as the fixed wing projects for the TF-X, Hürkuş and Hürjet are big projects and our goal is to become a reliable system provider of TAI in these challenging projects. In the context of these programs, we are targeting to indigenously develop critical aircraft subsystems and to then conduct their platform integration as well as aircraft level tests together with TAI. Within the scope of TF-X and Hürjet programs, we invest in capability development to position ourselves as local system provider of digital flight control systems with active sticks. We are also continuing at full speed to work on infrastructure development and engineering capability-building activities for the development of engine control systems for indigenous engine development programs. The project contract we signed with the German engine company AES, which is a joint-venture between MTU Aero Engines and Safran, is the first and most important step of this work. This is an export project that BNA won under competition and positions BNA strategically to be eligible for further Full Authority Digital Engine Control (FADEC) developments. In line with the development of an integration and test infrastructure, BNA will carry out its high technology system integration, assembly and test activities at the simulator and system integration laboratory, which is currently being established. At our laboratories, we will carry out work on the development of control software embedded in the subsystems of aircraft, prototype production and “Assembly at Line Replaceable Unit” level, software and hardware tests and certification. Defence Turkey: BAE signed a definitive contract with TAI to T-FX Program in the last period. Within the light of this contract, how do you assess BNA’s position in this program? Being a local aerospace company in Turkey, we are investing and working hard to be a part of the TF-X Program. As BAE Systems is one of BNA’s shareholders, we have an opportunity to reach BAES’s significant success story and background in fighter aircraft and sub-system design, development and support technologies. 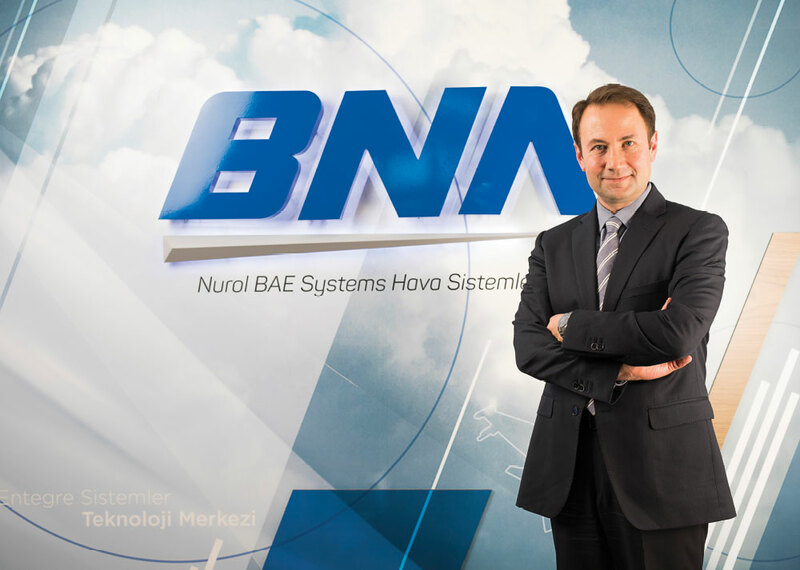 BNA’s vision is to be a competent company to fill the niche areas of the Turkish Aviation Sector by exploiting capabilities from our shareholders. We are targeting to be TAI’s qualified system supplier for the TF-X Program. We are fully aware of TAI’s demands in respect to their sub-contractor/supplier selection processes and requirements, as such we conducted initiatives and started early investments to satisfy these requirements. These investments are being made in our infrastructure in terms of building capability, capacity and developing the best value to this very important indigenous program. Again, our main focus would be on safety critical flight systems, control electronics, human machine interfaces, low observability and simulation technologies. Defence Turkey: At IDEF 2017, BNA signed a MoU with the German company AES to develop motor control systems. Could you please share with us details the latest status of this collaboration and program? We believe it is a very important step for BNA that AES has decided to cooperate with BNA for the development and production of the state-of-the-art Engine Control System which is considered to be the brain of the engine. We, on behalf of our country, are very proud of this cooperation. We think that the most important precondition to be considered a technologically superior company that has a say in the global defense and aerospace industry is to be able to export technology products to industrially developed countries. Our first contract was signed and now effectively we can export high level technology to a European main contractor. We think that this is a good start. The said engine control system is being designed for the control of engine parameters and provides features like health and usage monitoring. In the context of the project, we will develop the system, produce the serial units and secure life cycle management. This project will have both technical and administrative ramifications. On the technical side, we expect this project to act as leverage for the development of the FADEC system by BNA within the context of the various engine development projects in our country. BNA will gain significant capability and reference by developing a system that operates in an engine that is widely used in the international market. We, at BNA, have won this project by proving our competent workforce and processes. The project does not include an offset obligation. We have demonstrated to our partners that we are able to create export potential as long as we focus and work on the right areas and I believe that this contributed to increasing our reliability. Now we are very close to the PDR phase of the program and our customer is very satisfied with the results. The next phases of the project which lead us to serial manufacturing of the control unit are about to start. We believe that this project will also serve as a model for foreign companies willing to do business with Turkey. Defence Turkey: We know that BNA heavily invests in engineering capabilities and R&D infrastructure. What are the R&D investments and on-going programs with companies in Turkey as well as global markets? There are two leading engineering and R&D departments in our company, namely the Directorate of Integrated Flight Systems and the Directorate of Electronic Systems. Graduates from the aeronautics, aerospace, electronics, computer, and mechanical engineering departments of leading universities are working in these directorates, together with engineers experienced in critical projects. Our colleagues in our Engineering and R&D team are well-versed in their respective fields of expertise and have an average of 16 years of experience in the defense and aerospace industry. At this point, BNA succeeded in signing 2 (two) other national and international R&D projects in a short period apart from our contract with AES; we signed an agreement with BAE Systems for Virtual Reality Human-Computer Interface Development. The project is related to Human-Computer Interface by which development and remediation of Virtual Reality applications and development potential for new applications will be defined. The developed system will include more up-to-date and new technologies than current Virtual Reality applications in Turkey. This project will be a first in Turkey and it is foreseen that it will draw considerable interest of companies which have virtual cockpit products and those that act on computer aided digital model design management or similar fields. The other project agreement is related to Diagnostics Dashboard Development. It was signed with FNSS for a software development project by which all data of wheeled/tracked tactical combat vehicles being transferred can be displayed, dimensions of these data can be changed and placed effectually on a tablet. At the end of this project, the developed product will provide import substitution and domestic software will be developed which will be specially designed for the display requirements of combat vehicles. The most important outcome of this program is that we are aiming to design a Health and Usage Monitoring System as a second phase of this project which can be converted and adapted to air platforms as well. We consider 2018 as a year of great potential, during which we will be aiming for significant turnover regarding sales figures and total development efforts. Our plans include developing critical systems for all tactical vehicles, particularly for aircraft, as well as implementing the relevant production projects. Defence Turkey: AS 9100 is widely adopted and is a standardized quality management system for the aerospace industry. BNA has become AS 9100 certified recently. How do you evaluate the certification process as well as the benefits? The BNA Quality Management System is currently based on ISO9001:2015 Quality Management System Requirements and AS9100:2016 Rev-D Aerospace Series-Quality Management System. Thanks to the fact that our experienced core team has a quality background, we were able to draw up our quality processes and procedures together from scratch. As you know, AS 9100 is an essential requirement for aerospace manufacturing programs. We are pleased to have a robust quality system and readiness for potential production projects. Defence Turkey: Within the scope of your investment plan, what is your approach on reversing brain drain? The systems we are working on are progressing in line with the platform development process. For instance, there is a flight control system that needs to be developed in line with the flight sciences analyses of the relevant aircraft. It is a highly flight-critical and priority system that has an interface with almost all other systems on board. If you intend to design such a critical system, you need to rapidly employ a qualified team of engineers from different disciplines and to also make investments at the earliest point possible for your facility, processes and engineering tools. You need to begin working together with the aircraft manufacturer in an integrated manner and with a proactive approach. As I mentioned, we, at BNA, are going through a controlled growth process, with an outlook to become a company that is preferred by prime contractors through our prioritized systems such as flight control and engine control systems. Being aware of our responsibilities in our areas of focus, we are working to achieve controlled growth in line with our corporate identity and concept. Power is where people believe it is. We embrace the concept that “Knowledge is power, and that power is power by itself”. We entered the industry with the knowledge of our team of experts and also with an entrepreneur’s spirit and an average of twenty years of experience in the industry, particularly in the field of aerospace. We also have power stemming from the support of two giant partners with more than half a century history in the industry. These features have allowed us to commence our operations one step ahead of similar enterprises. As long as we are granted the opportunity to assume a role, our goal is to become a company that conducts work in engineering development, together with the significant platform manufacturers in our country. We believe that no success is the product of coincidence and we are moving ahead on our path with firm steps, with a corporate culture that is mature and enthusiastic at the same time. Regarding human resources, we of course cannot say that there are ample human resources in Turkey in the field of aviation. We are expanding our workforce by especially evaluating the job applications of promising young engineers and of Turkish professionals who are eager to return from abroad to Turkey by reverse brain drain or who may decide to return specifically to work with us. We have already been successful in employing several Turkish engineers from abroad. We are a Turkish company. All of our existing employees, especially our engineers and technicians, are citizens of the Republic of Turkey. Our primary objective is to improve our indigenous capabilities by having support from our shareholders. Defence Turkey: Would you like to add another message to readers of Defence Turkey magazine? 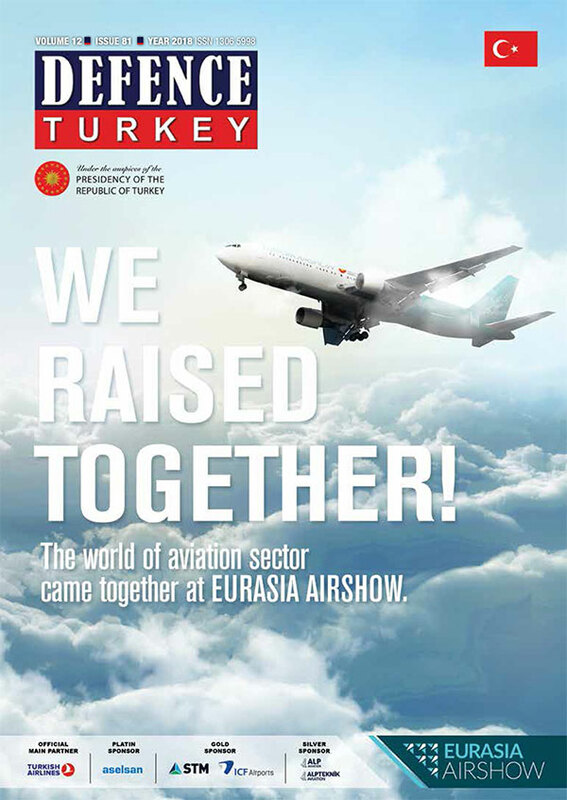 The Eurasia Airshow is an important event for the Turkish Aviation Industry since it gathers both global and regional players and provides a platform for all the stakeholders of the ecosystem to communicate and share views. Such an international organization also serves our country in becoming a member of the global market as well as supporting commercial bodies with their goals. Therefore, BNA is pleased to take part in the Eurasia Airshow and is happy to cooperate with Defence Turkey for this special issue.